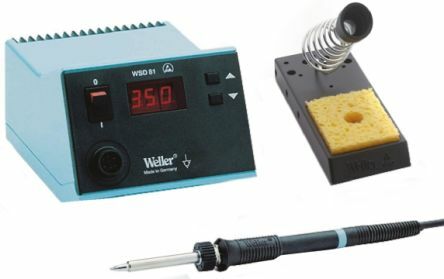 This RS PRO 124-4132 is a 60W soldering station with an LCD display. 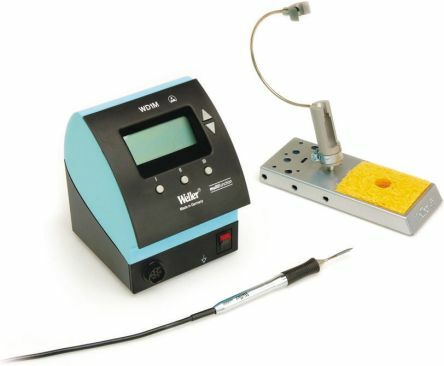 It is supplied with a high end Alumina ceramic heating element providing you with fast heat recovery. The RS PRO 124-4132 features two outputs. One output is for the soldering iron, and the other is a USB. There is also a switch on the front of the unit to turn the power on/off. The large LCD screen on the unit displays the temperature in a way thats easily visible. It has a backlight which you can change the brightness or contrast. 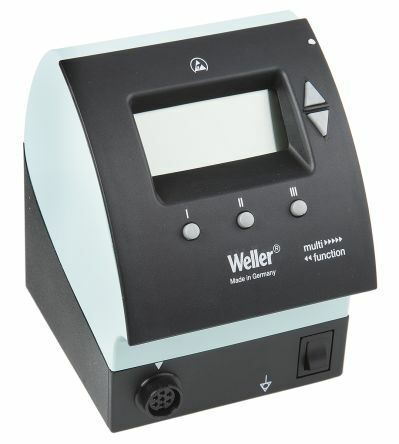 There is also a dial on the front of the unit which enables you to scroll and choose your temperature. Yes, the RS PRO 124-4132 features built-in data memory which stores up to 3 frequently used temperatures. Is it in Centigrade or Fahrenheit? 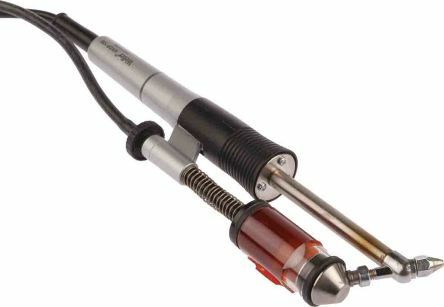 The RS PRO 124-4132 enables you to change between Centigrade and Fahrenheit. It also has a temperature calibration function. What plug does it have? The 124-4132 has both a UK and EURO plug.